Directline Structures have completed another exemplary school sports hall. 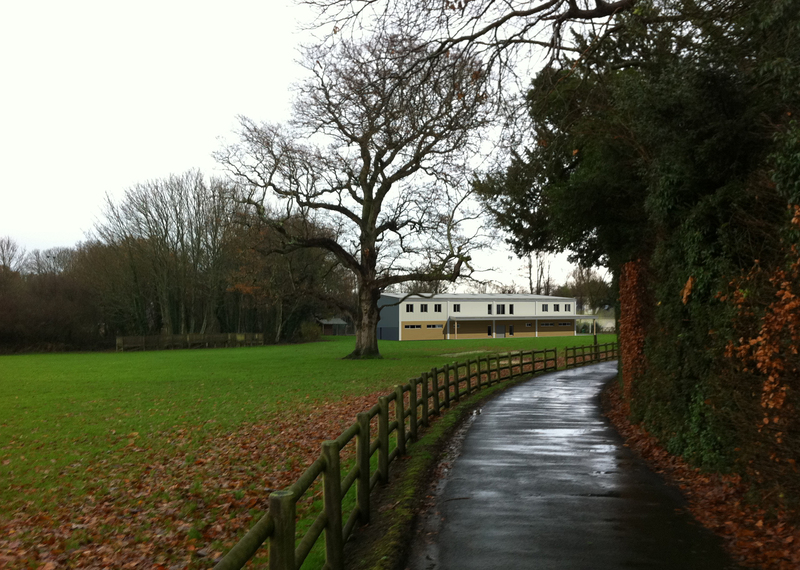 Claremont Senior School in Bodiam, East Sussex, is a new senior school which moved into existing premises and has been growing and improving with each year that it has been open. It had reached the point where a sports hall was essential, and having engaged Directline Structures for the design and construction of the multi purpose hall at their separate prep school, the school came straight to us to design and build the new facility. 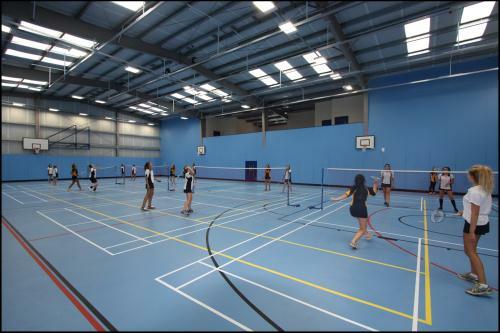 With close collaboration with our client, we were able to deliver an outstanding, customised sports centre, including 4 badminton courts, a full sized indoor tennis court, a full size basketball court and two practice courts, and a five-a-side football pitch in the hall alone. Alongside this, there are also two changing rooms with toilets and showers, three classrooms and a viewing gallery looking into the sports hall. 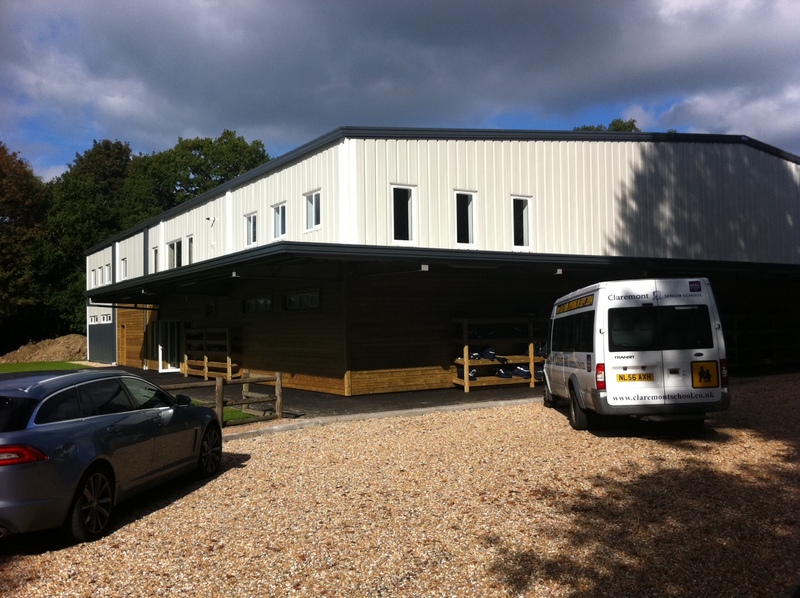 “A high spec facility for a low spec price” in the words of a previous client. One of the major advantages to our design and build approach is the continuity between the design team and the construction. This means that we design exactly what we will build and understand how we will do this from the outset. The artist’s impression we prepared for the planning application is shown below alongside a photograph of the completed building. This is the 17th hall that Directline Structures have built and each one is unique and customised to the clients requirements, as well as incorporating the latest technology and best practice. We are not limited to halls though, our unique approach to design and construction has been applied to seven other educational buildings, including sixth form centres, classroom buildings and libraries, where quality and value for money have been top priority. The Sports Hall at Claremont Senior School is now in full use by the school and public. 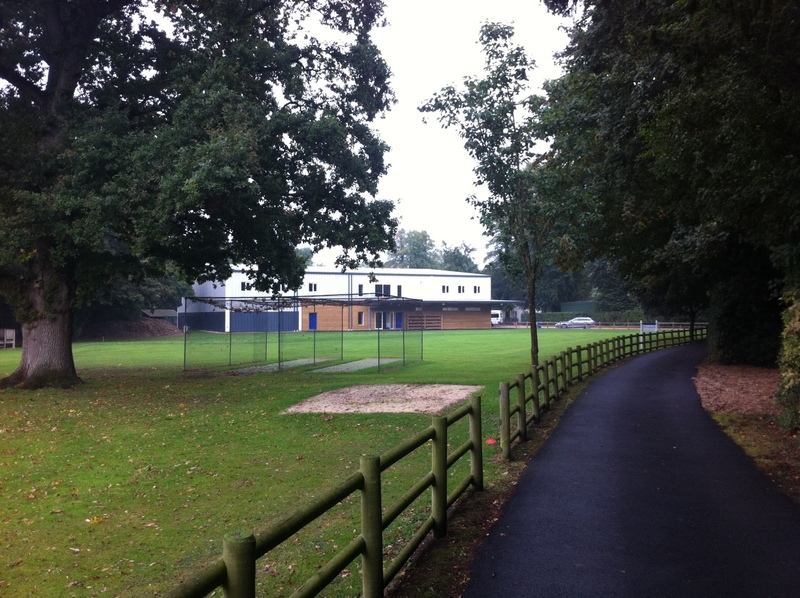 You too could have a new sports hall by next September! 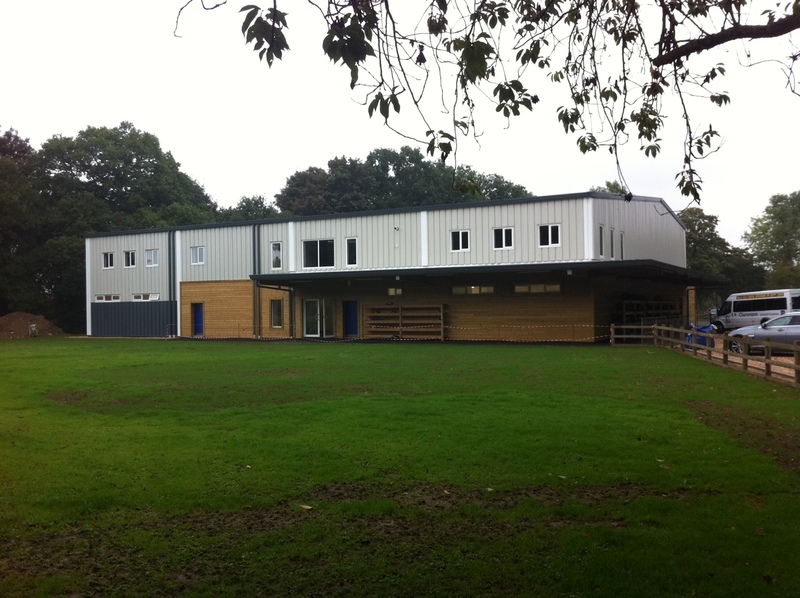 If you need a high quality educational building for an unbeatable, guaranteed fixed price, give us a call or fill in the contact form to discuss your project.